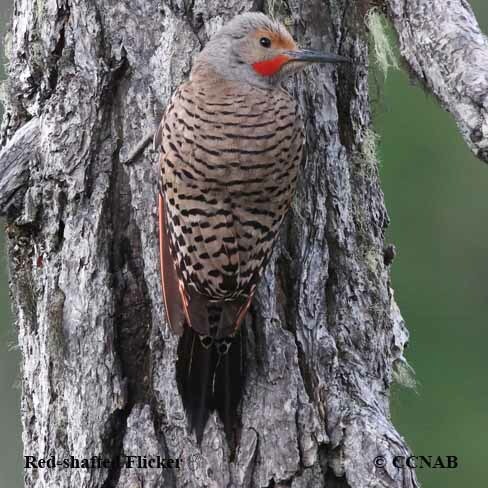 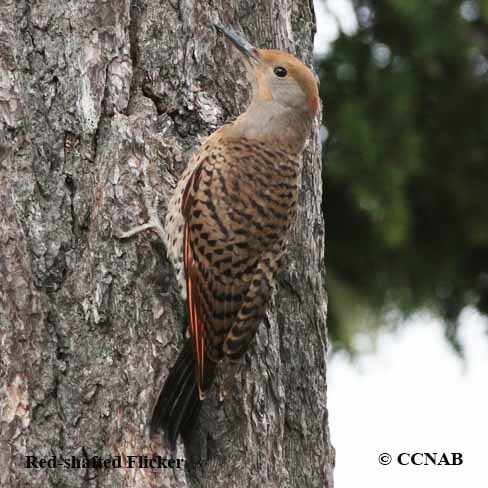 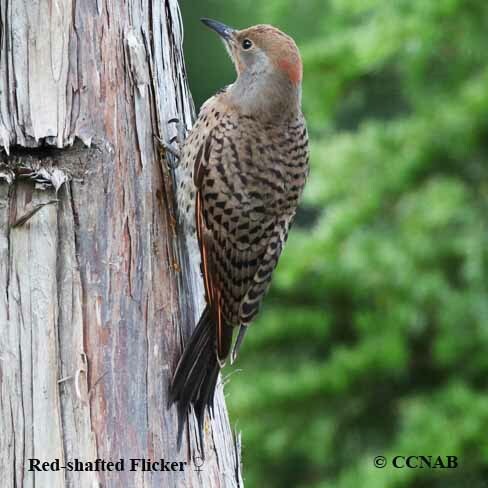 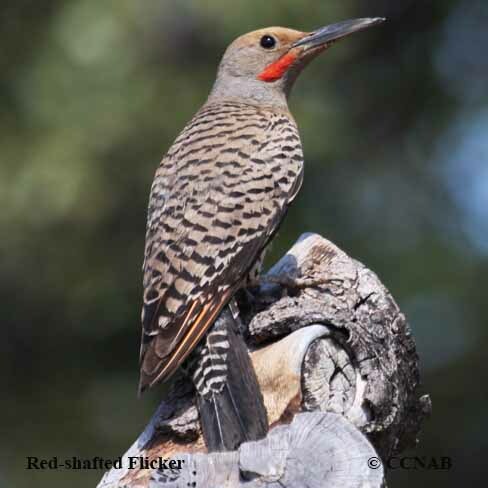 The Red-shafted Flicker is one of the two sub-species of the Northern Flicker. 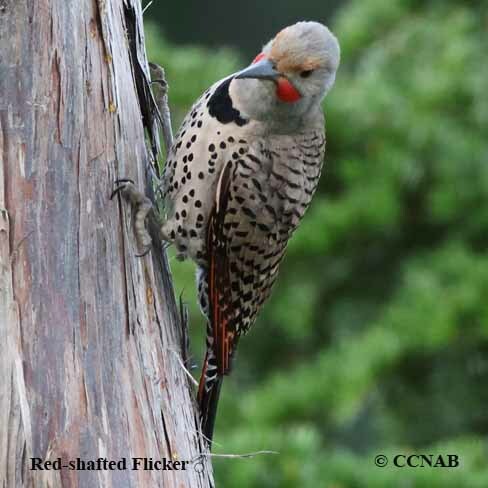 The Yellow-shafted Flicker is the second race. 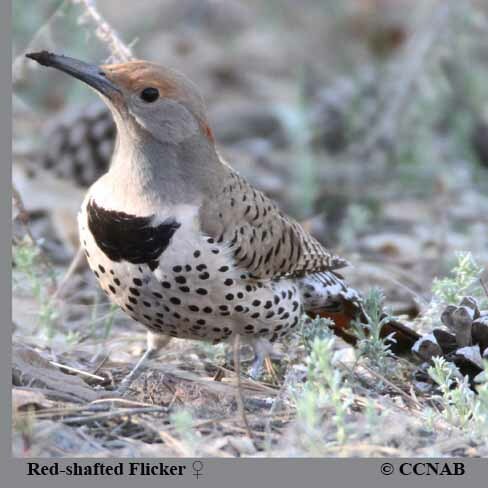 This Northern Flicker race is found from northern British Columbia, through most of the Canadian prairies, and south into Mexico. 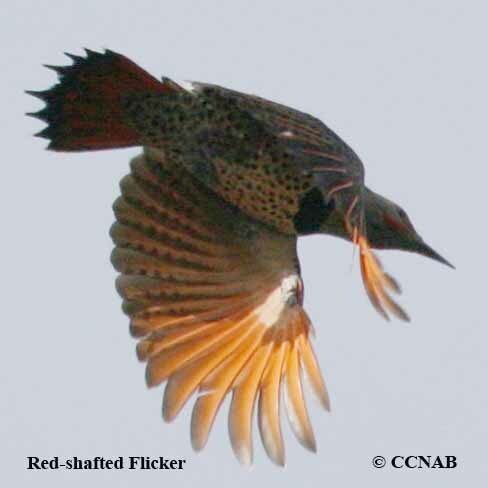 The bright reddish-orange edging on the flight feathers distinguish these flickers from the eastern race, which has yellow edging on their flight feathers. 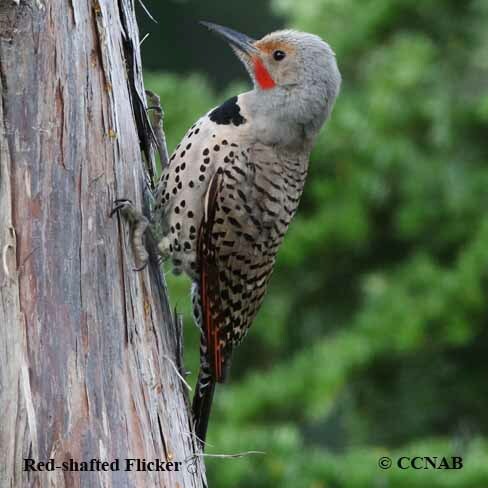 Flickers are members of the woodpecker family.